All Around Canada – Contest Voting has Started! All Around Canada – that is the name I gave our store’s #Northcott Trans-Canada Block Party block. 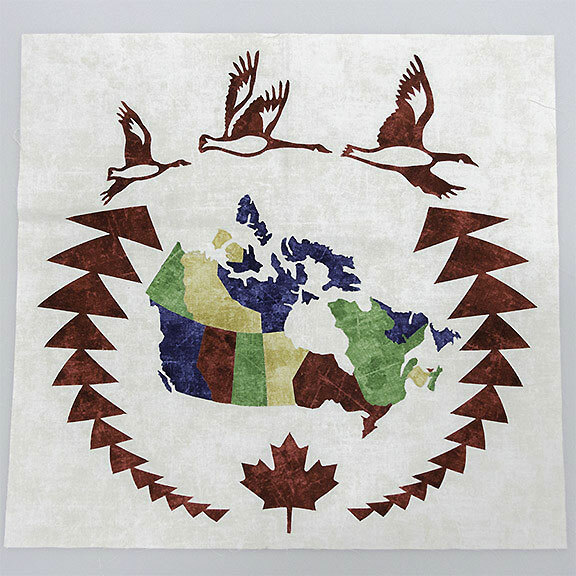 When designing the block, I wanted the geese flying over the entire Canada map, to show the inclusiveness of our country and our pride. Sharon H. took my concept and with her fabulous drawing and computer skills made it come to life. We tweaked, we culled, and by December we had it finished. So off it went to Northcott to be entered into their shop challenge. How incredibly excited we are that our block made it into the top ten finalists! We couldn’t be more pumped if we were in the Miss America Pageant! There are some beautiful blocks besides our own, and we are so proud to be included with them. I ask that everyone please take the time to vote for your favourite block by clicking here. Voting is limited to one per IP address. Travel to a new place with a different network, then you can vote again. We also have a link to the voting platform on the first slide on the Home page of our website. Voting ends February 28 at 11:39 EST. These blocks are designed by stores who are participating in the #Northcott Trans-Canada Block Party, and they are giving the patterns away for free to walk-in customers until September 1st. Kits are also available for purchase. After September 1st, stores may sell the patterns and kits by mail. In October, I blogged about all the various challenge components of the #Northcott Trans-Canada Block Party, as well as other contests that were announced at the time. Click here to read this blog post and get all the details. And thank you for voting – the best competition is one with lots of votes! As you probably have heard, next year is Canada’s 150th birthday. 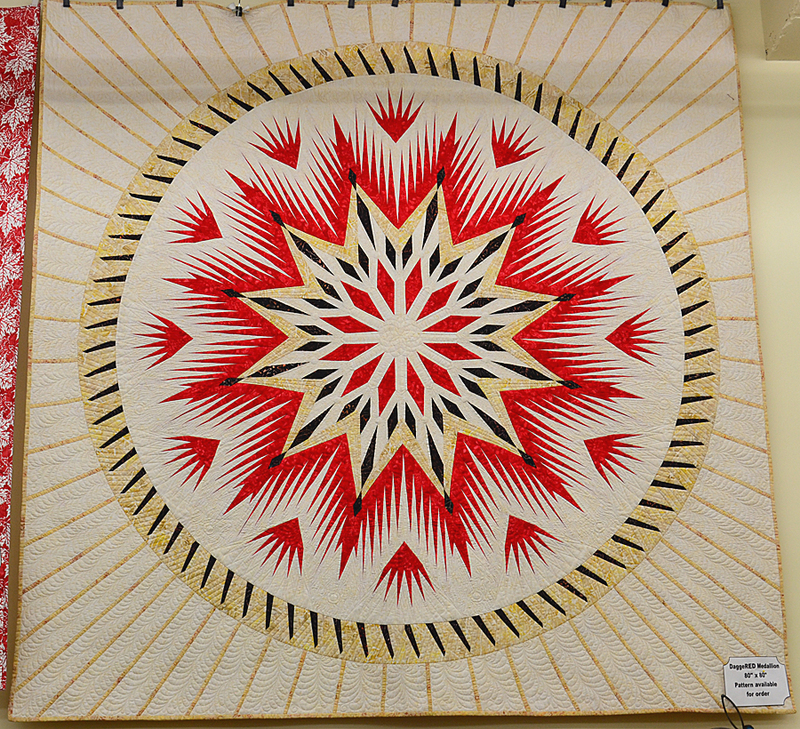 For this momentous occasion, a few contests and programs have been constructed for the quilting crowd. I’ve been getting inquiries regarding the fabrics and programs surrounding these, and thought I’d provide a breakdown of the various ones I have been made aware of. 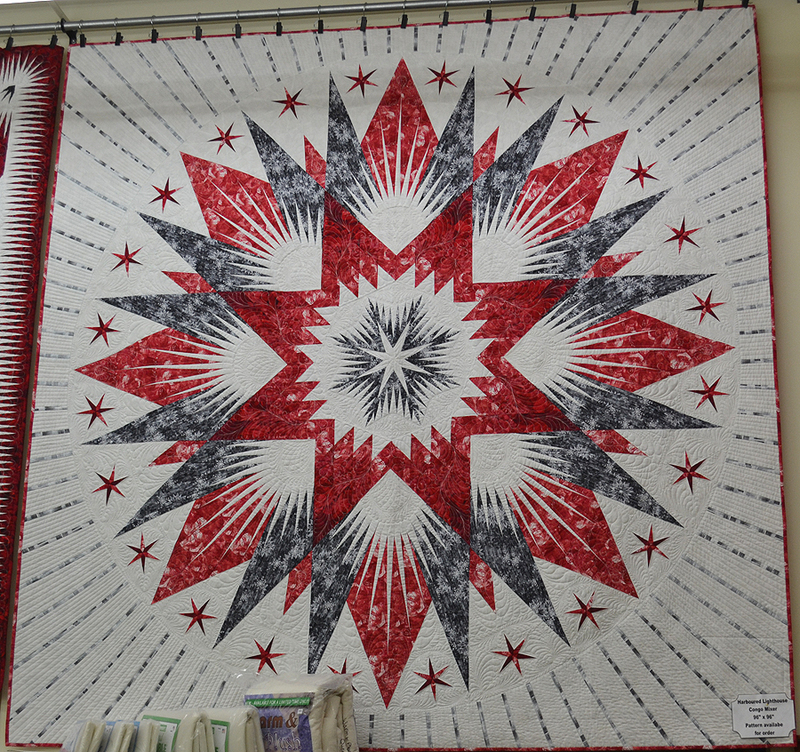 This program has three components all of which are based on their new fabric line of the same name for the 150th year. We are purchasing this entire line of fabric which can be seen (and pre-purchased if desired) on our website. There are also commemorative pins for sale also found on our website. Transcanada Block Party: From January to September 2017, participating shops will provide a free pattern (or have kits for sale) for a block to customers who visit their store. Much like the Row by Row Experience program many of you are familiar with, this is not available on-line or by mail. 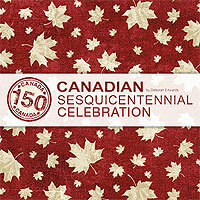 Kits from participating stores must consist of only the Canadian Sesquicentennial Celebration fabrics and the blocks can range from 6” x 6” to 18” x 18”, in 6” increments. We are thrilled to be part of this block shop-hop program which is throughout Canada, with 27 stores signed up in Alberta alone! Northcott created a google map where you can see the participating stores and their locations. 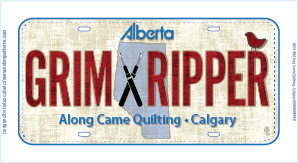 There still is time for stores to sign up and participate, so if your city or province is a little shy of participating stores, tell your local quilt shop that you would love for them to join the fun. Just like Row by Row, the more stores, the more fun for customers. 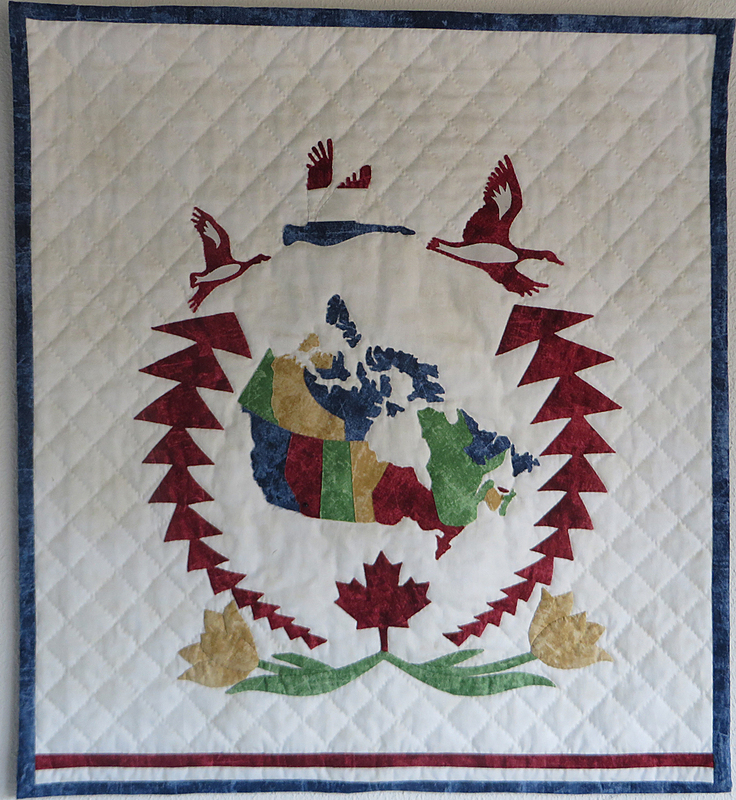 Canada Quilt Challenge: Make a quilt using at least 6 blocks from 6 different participating Transcanada Block Party stores with the Canadian Sesquicentennial Collection and enter to win either the grand prize of $500 or one of the 13 finalist prizes of $250 each. Details on this contest are here. 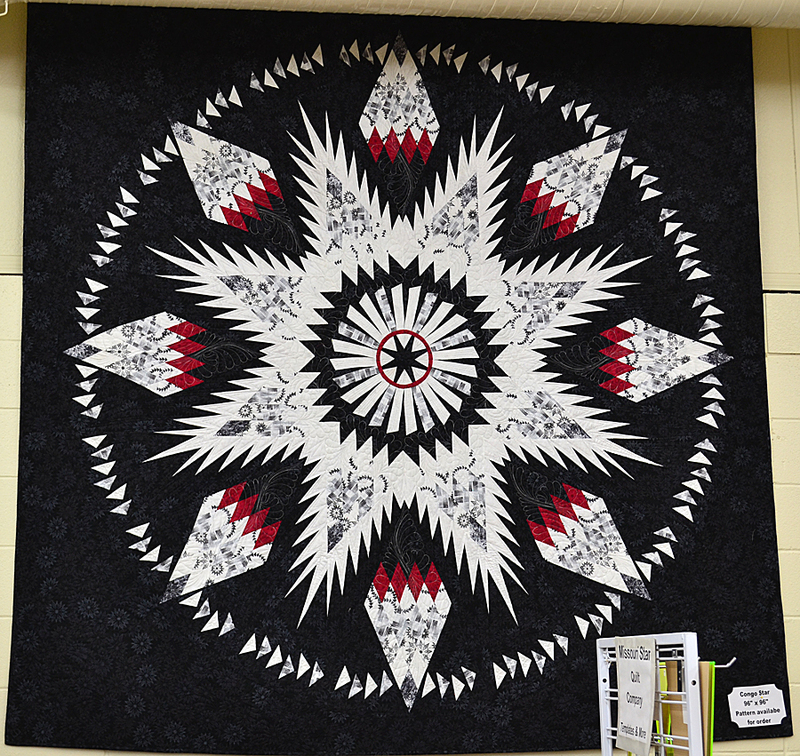 Sesquicentennial Quilts of Valour Challenge: Donate a quilt made from the Canadian Sesquicentennial Celebration fabric line for Quilts of Valour. 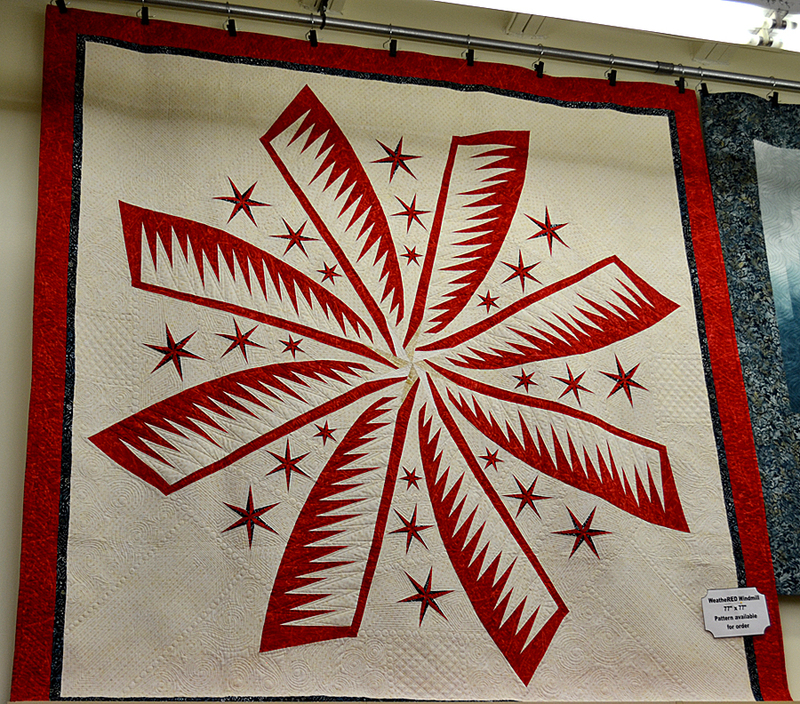 All quilts are submitted direct to Northcott, from which the top 15 will be displayed at Quilt Canada in Toronto in June. Prizes will be awarded to the top 3 viewer’s choices. Details on this contest are here. 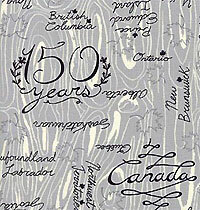 Canadian designer, Grace Noel, designed a Canadian-themed line of fabric manufactured by Moda called With Glowing Hearts. 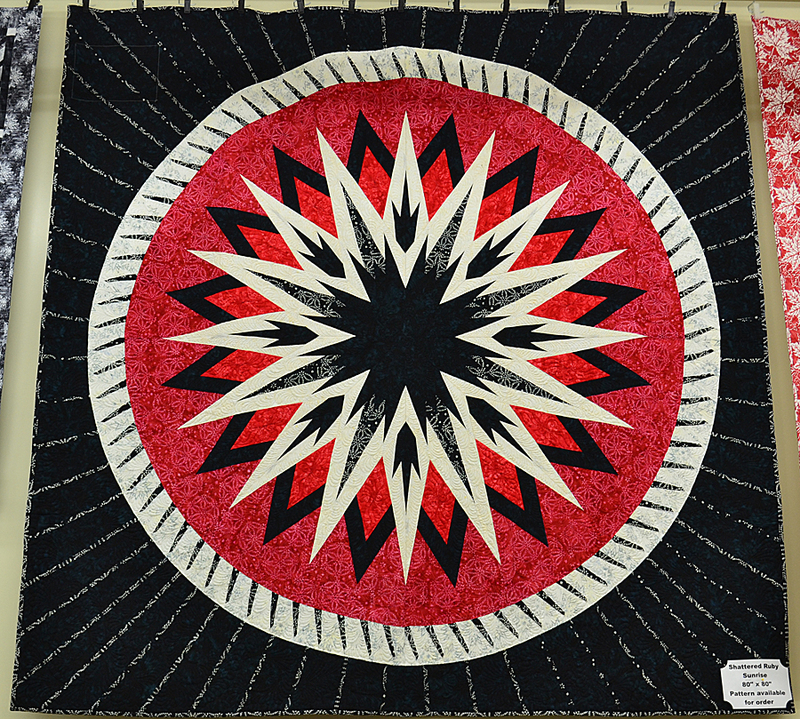 Our store has purchased select pieces of this line of fabric which can be seen (and pre-purchased if desired) on our website. 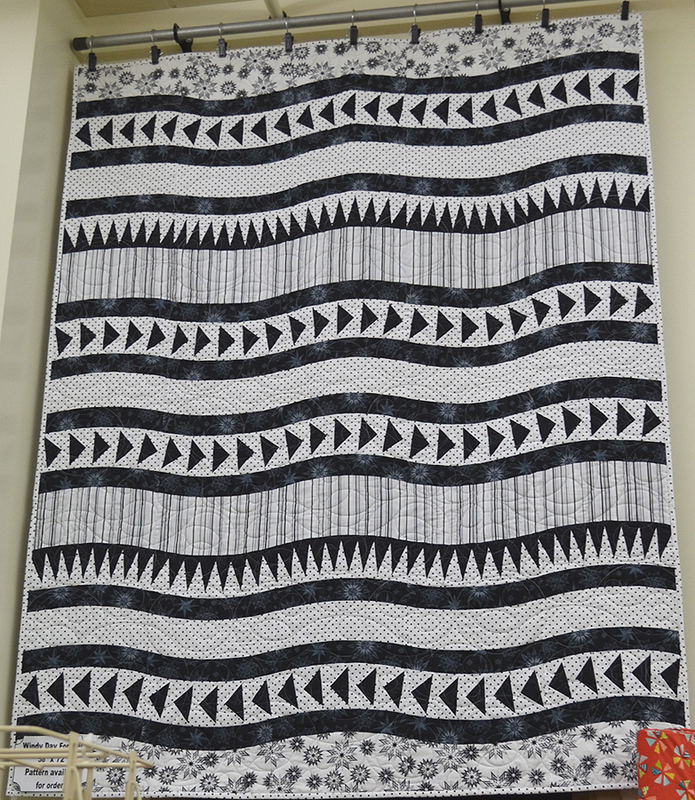 Trend-Tex, the Canadian distributor of Moda fabrics is also sponsoring a quilt challenge and the rules can be found here. 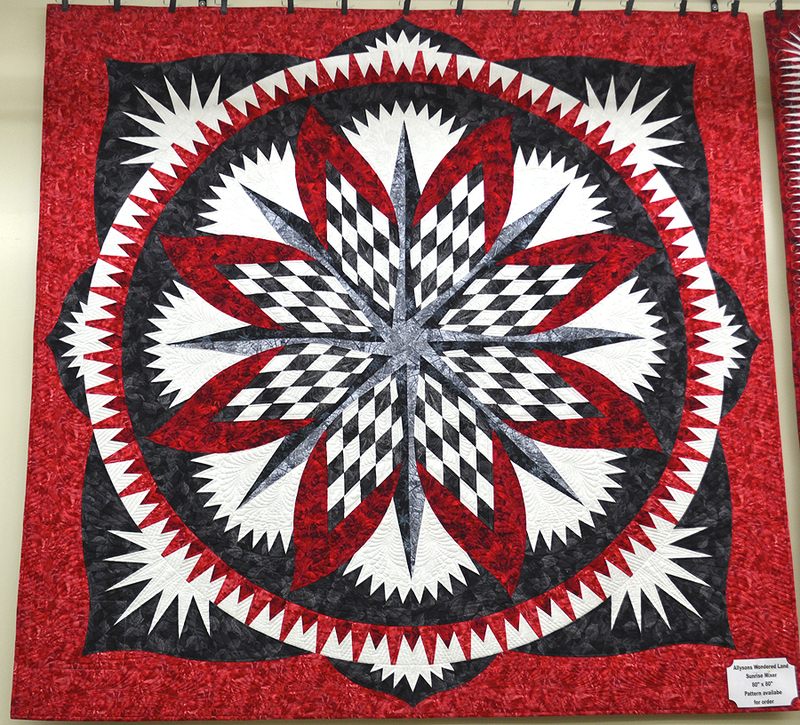 CQA’s is putting on a giant quilting bee to be held at Quilt Canada in Toronto in June. 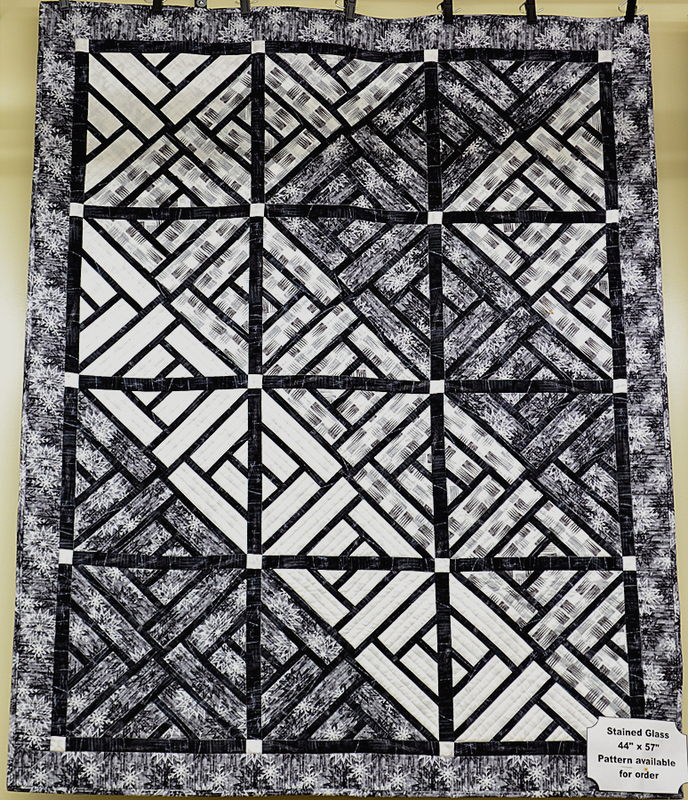 Donated slab blocks from across the country will be sewn into 1000 quilts to be donated to Ronald McDonald Houses across Canada. 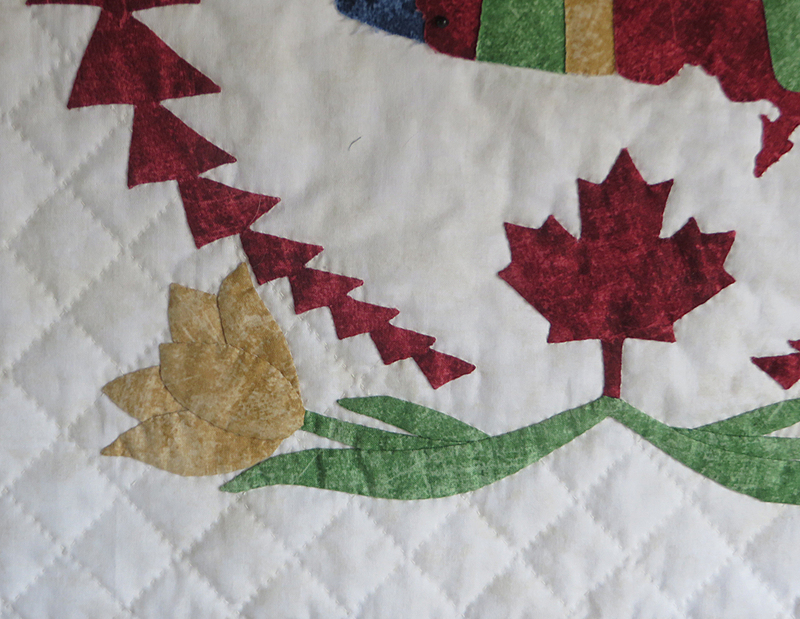 Each slab block must contain at least one piece of Canadian-themed fabric – not specifically 150th anniversary themed. 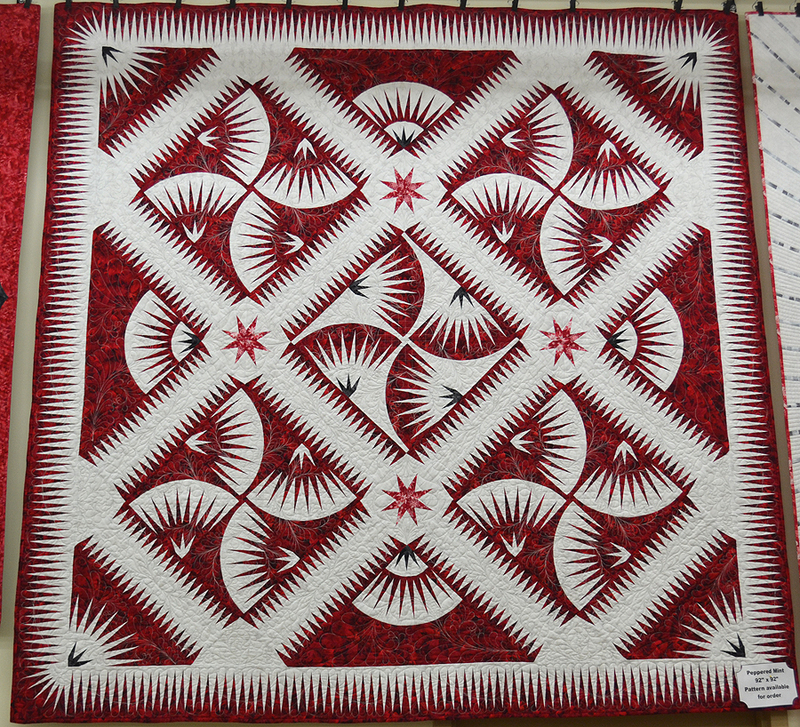 Details on this quilting bee are found here. 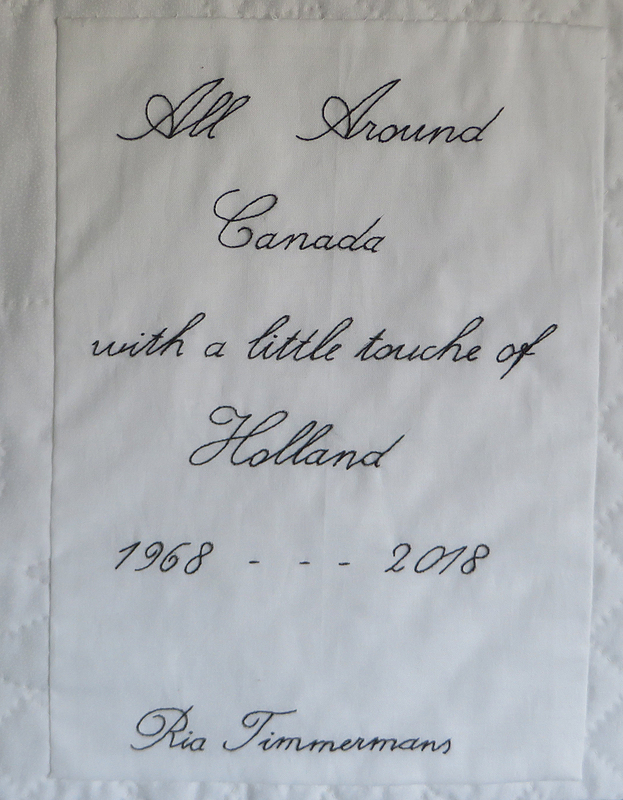 If you would like to see what we have in Canadian-themed fabric, you can always check out our store’s on-line Canadian Eh! department. This department has all our Canadiana products. So as you can see, there are lots of programs and Canadian-themed projects coming up, and we’ll be here to help you with celebrating this milestone. Drop me an email if you have any questions. 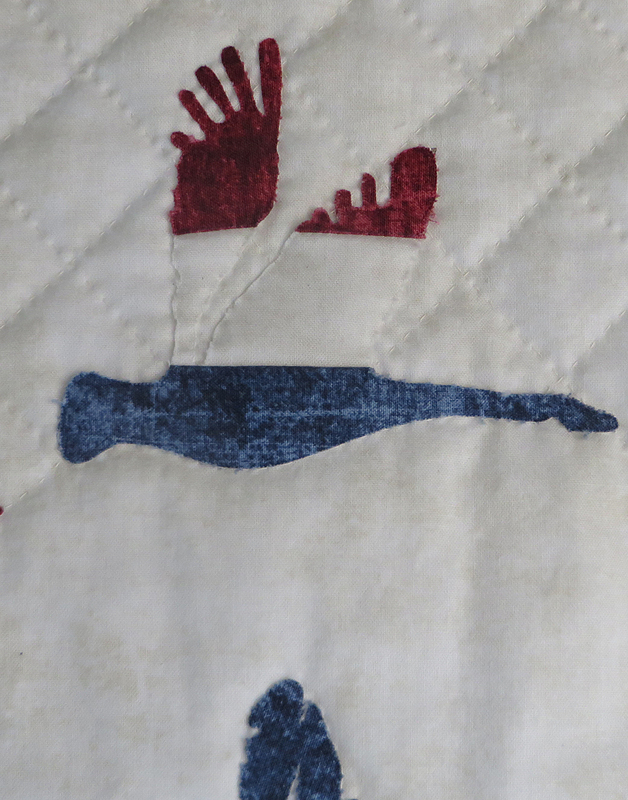 New to our class calendar this fall, are SEWtorials – a tutorial in our classroom without the sewing machines. Beginning September 14th and continuing every Wednesday at 10:30 am until the end of November (12 weeks), you will be guided through a new project by either Kim, Leslie, or Linda B. 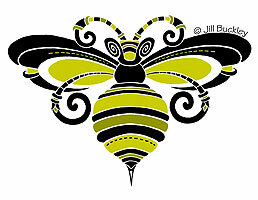 Each project will be a surprise and while a few will be Christmas-themed that you can use as gifts, others will be fun, unique items for any occasion. Bring your notebook and friends, and the coffee will be on. And as everyone loves show and tell, don’t forget to bring your finished (or nearly finished) items to share. Sessions are likely to finish before noon. 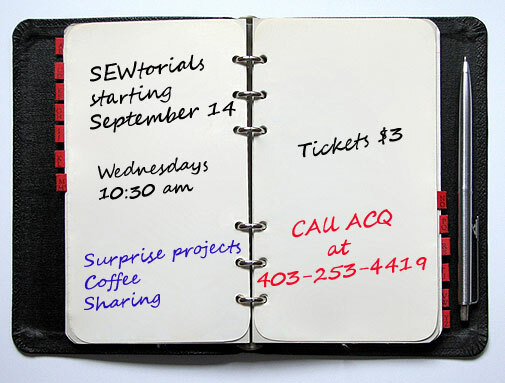 Tickets for these SEWtorials are available in advance for only $3 for each date ($2.86+GST), and, if desired, may be purchased by phone at 403-253-4419 and held for you at the store. The ticket may then be redeemed on the day of the demo toward any purchase of $9.99 or more (before tax). Please see ticket guidelines below. Jot us in your calendar and call us today at (403-253-4419) for your tickets. Once purchased, tickets are non-refundable. If you are unable to attend, feel free to send a friend in your place. ACQ is not responsible for lost or stolen tickets. Ticket is only good for the date purchased and may not be transferred to another date. Ticket may only be redeemed on the date of the demo (not saved to use on another demo day). Only one redemption per customer per date please. When I was a young child, my grandmother received mail from her Arkansas friend every few months. It was her last link to home, and inside would be a letter, newspaper clippings, and Li’l Abner cartoons whose humour was beyond my age. But one letter held a very unique dried up cotton boll on a stem. I guess it was to remind my grandmother of her southern heritage, but as a child I didn’t ask. Instead, I was fascinated with the plant that my mother explained represented the beginning of the cotton that we wore. I never forgot that cotton boll; in my hand was a beginning to my love affair with indoor and outdoor plants and then full-scale gardening. 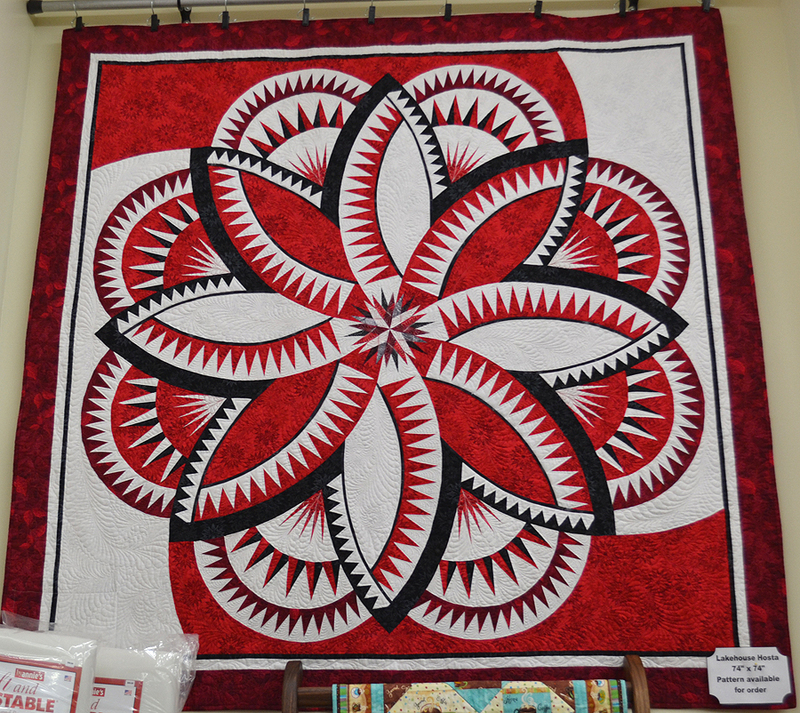 Ironically, quilting became the other hobby of choice and now my work. 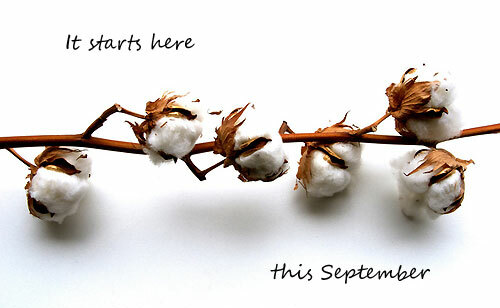 A seed of cotton; a seed of knowledge. Everything has a beginning. This September we begin our new class schedule which runs to January and we are hoping you will find with us a new beginning in what we have to offer. We are thrilled to be participating again this year in the Row by Row Experience. Our row shown above sums up what “Home Sweet Home” means to us. Come in to the store for a free pattern. If you would like to bypass the enlarging, tracing, and cutting of the appliqué, laser pre-cut and pre-fused kits are available to purchase in-store for $29.99CDN. If you are unable to visit us for a kit or pattern, we will be selling them via mail order on November 1st. For a listing of participating Alberta Stores, click here. Click on the logo above for a link to the Row by Row Experience program.